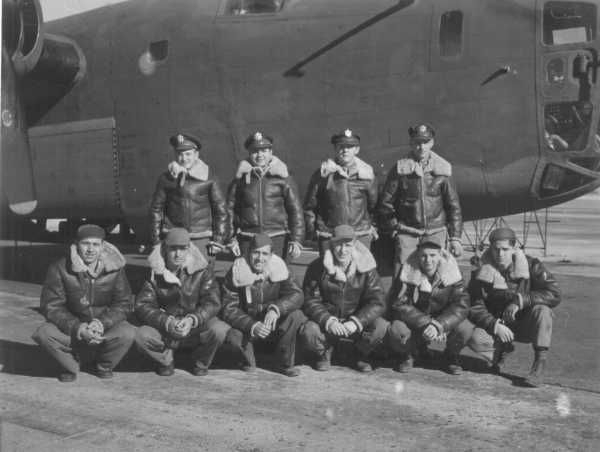 The Herzik Crew was the first aircraft of the 458th lost on a combat mission. The March 3, 1944 mission to Berlin was recalled due to extremely poor weather conditions. 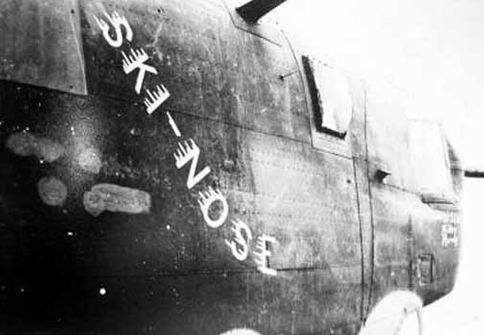 Flying B-24H 41-29298 Ole Satan, this crew simply did not return. 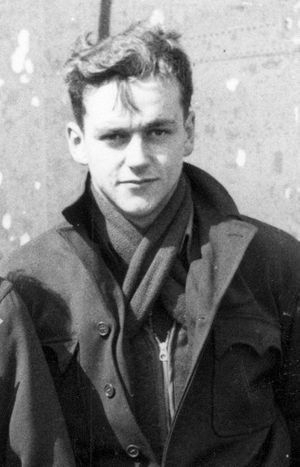 Their loss was the group's first combat loss and is recorded in Missing Air Crew Report 3347. 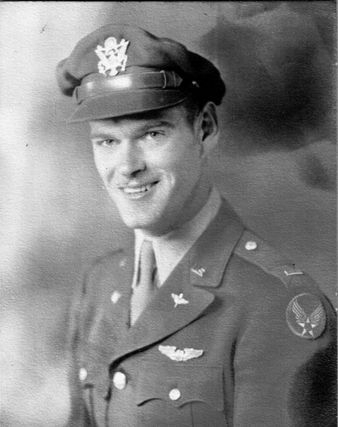 Harold McDonald, navigator on Crew 63 (Brudos) related the following: "We were over the middle of the English Channel heading towards the enemy coast when Herzik, maintaining radio silence, signaled that he had trouble and was returning to base. We waved to them as they left formation and continued on. When we returned to base we were shocked that Herzik was not back yet. They must have gone down in the Channel." The entire crew was declared deceased (DED) in 1946. Their names are on the Tablets of the Missing at Cambridge American Cemetery in Cambridge, England. 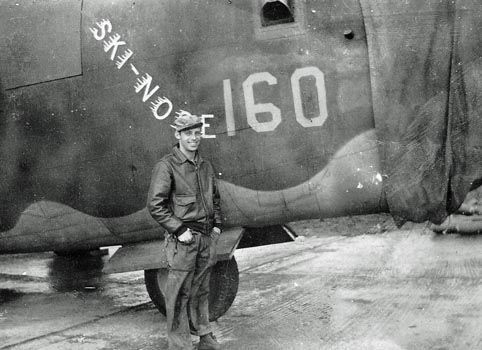 Flown to England by Herzik, this aircraft was later transferred to the 392nd BG, flew 27 combat missions and was lost on July 7, 1944. "No. 1 - Fri Mar. 3 Started for Berlin via Northern route at 22,000 - temp -65° and contrails terrible - awfully tough forming, three wings aborted over North Sea. We were off course and caught heavy, accurate flak at Cuxhaven where Bruno [Major Bruno Fieling, Group Ops Officer] had us do a 180° in the stuff and return. Wasn't a bit scared - just looked like fireworks and instead of dropping eggs, we brought 52-M47A1 bombs back. 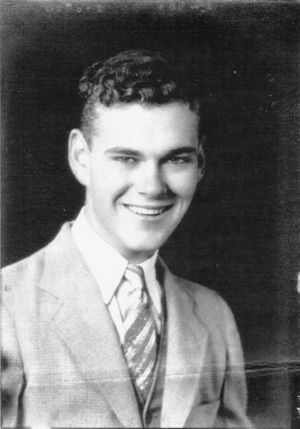 Beeze [Capt Royce B. Glenn, Crew 73 pilot] flew dep. lead to [illegible]. 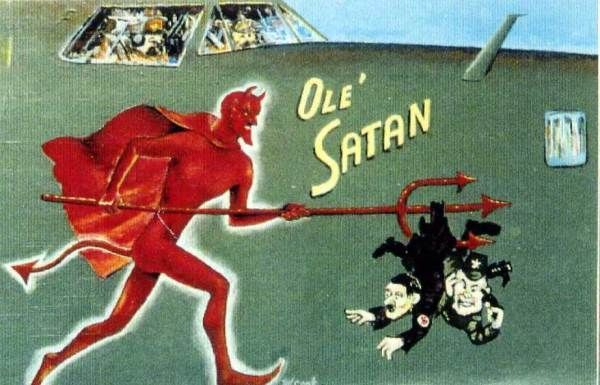 Herzik in "Old Satan" [sic] lost - probably ditched and froze as radio got no call from him and he had no flimsy - seas too high for A-S Rescue." 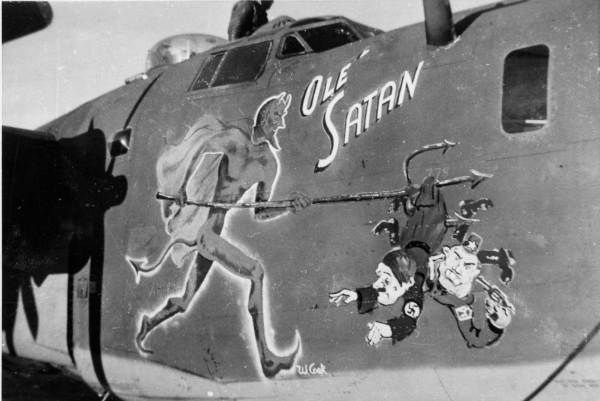 B-24H-10-CF 41-29298 J3 G "Ole Satan"
"I remember Frank Herzik very well. He was a 'class' guy. Well educated, well spoken, interesting to talk to for a 19 year old (a few weeks before my 20th birthday). That day [March 3rd] was the coldest we ever saw. It was the nastiest weather. The North Sea looked like a cauldron from 20,000 feet above it. They had a breakdown of some sort and went into the sea. They didn't have a chance of surviving. We also aborted, but I realized much later that it was Mattson looking for a way to avoid going on. My log is confusing because I was confused at the time."